sheepless in suburbia: Happy March 2nd! (aka) Happy Saturday! Happy March 2nd! (aka) Happy Saturday! This is just a quicky post to let you know where I am on the stitch-ey side of life. 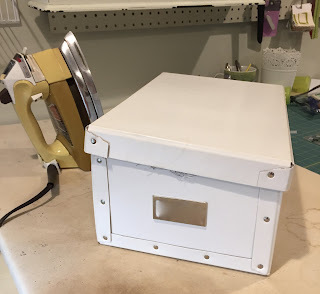 Lots of new projects on the horizon - now that I'm actually viewing some of the online classes I signed up for during the "great 50% off classes" event over at Craftsy on Black Friday. Having spent all that moo-la, it is only natural that I would be working on the one "free class" I had in my basket - the 2013 Craftsy BOM. 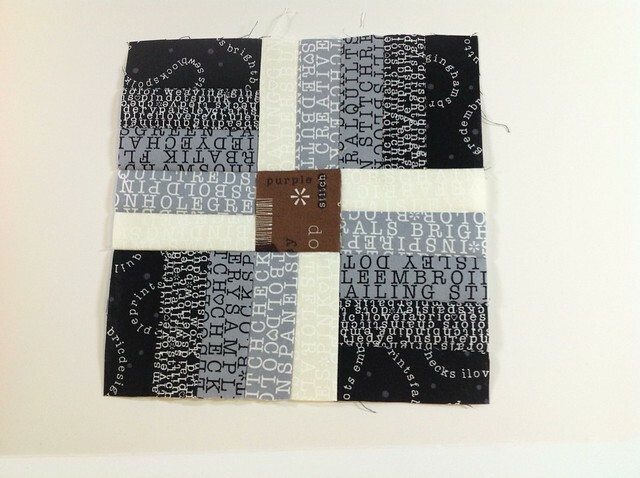 I have a FQ bundle called "Wordplay" (by Benartex) that's been sitting (languishing?) in my stash for a while now, and this looked like a good option for it. Of course once I got started I realised I hadn't enough suitable background fabric so off I went to the shop. 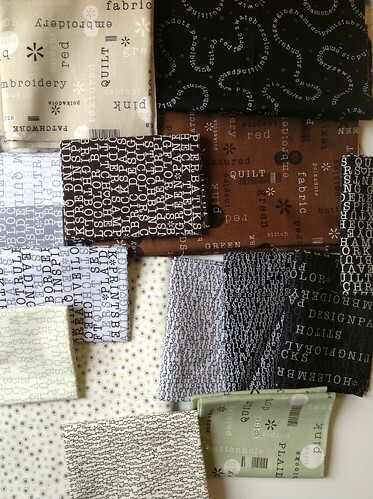 I also discovered they have more of the WordPlay fabric if I get desperate (Except for the 1 FQ I really want). I put my blade to fabric and got cutting a few weekends ago as I was already 1 month behind. 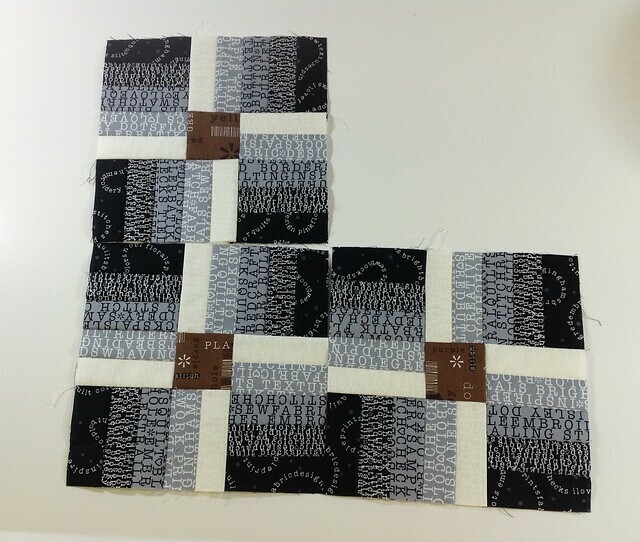 January's block is called "Offset Log Cabin". 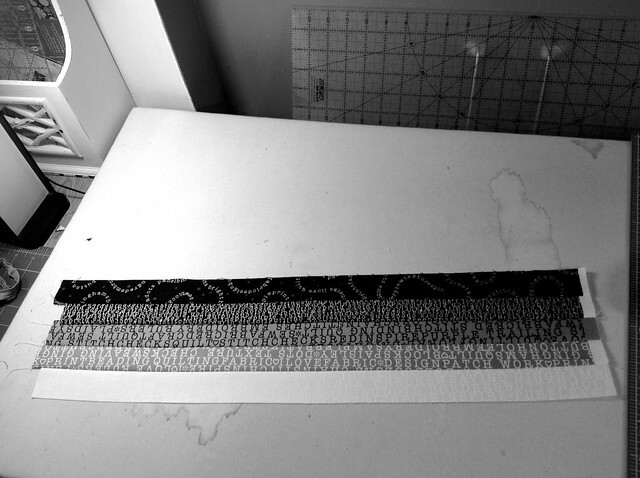 Offset in that the widths of the strips vary. I've never done log cabin as I was afraid to just "try it". It's a great block for fearful first timers... and it's nice to see how flipping the blocks can create different looks over all. (See below). I fussy cut the centre square - but I'm not sure it was worth the effort. Would likely have been more noticeable if the object was a little birdie or something. The February block is called "Spring Blooms" I suppose it looks like a flower. 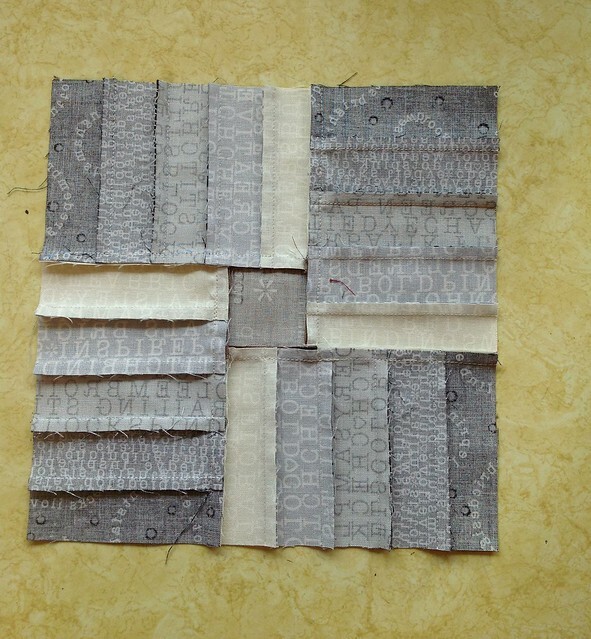 The skill being taught for this block was "partial seams." 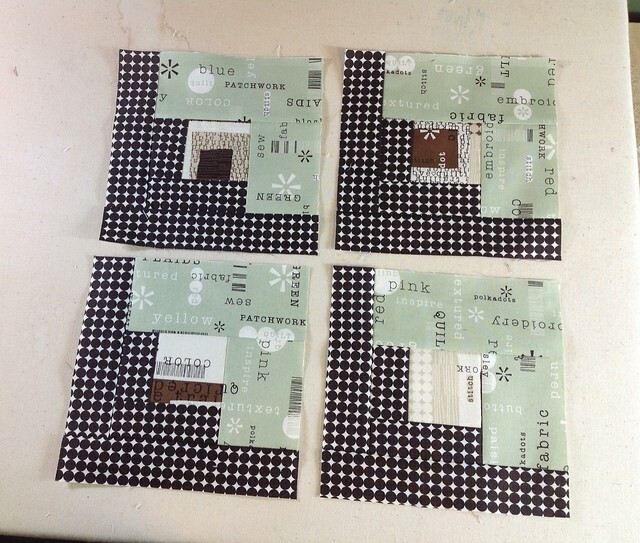 I really enjoyed this block - and I finally took the time to figure out exactly where the "scant 1/4 inch" sweet spot is on my sewing machine (I have "saved" this into the machines memory bank as well). ... and ended up with a block that fit together perfectly! Last but not least my reverse side pressing fit together like a perfect puzzle! I am delighted! 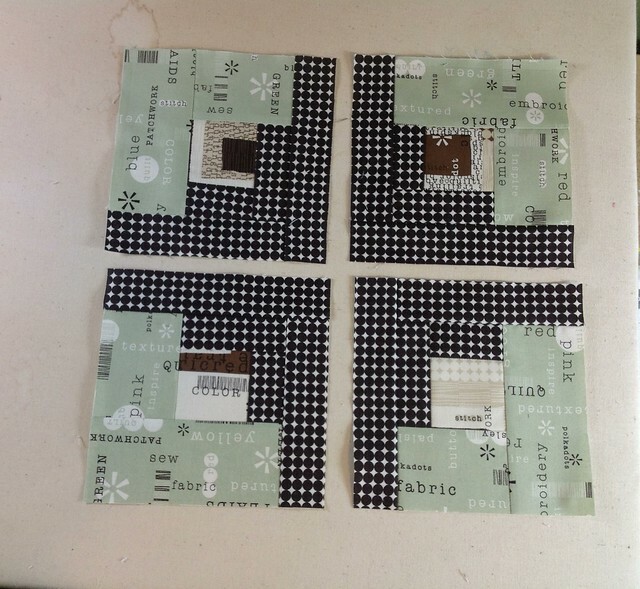 I peeked ahead to see what my March block assignment was - but was told "No peeking!"... will need to get back there soon!